"One of the Top Restaurant Merlots in America! 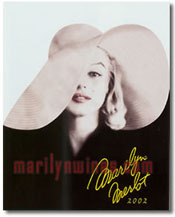 (Wine & Spirits Annual Restaurant Poll, April 2004). Just wait until you try it! Our juicy Washington Merlot is brought to life by a splash of Cabernet Sauvignon for structure and complexity while Cabernet Franc rounds out the fruity characteristics. Perfectly balanced fruit, lush tannins and acidity, Red Diamond Merlot will make your mouth water for more. ."
"Cherry and deep blackberry with hints of black pepper, cherry pie, and blackberry jam. The finish of this medium-bodied Merlot offers soft tannins and earthy undertones. An extremely food friendly wine, the finish is supple, and well balanced. Enjoy with cranberry glazed pork chops, braised leg of lamb and Mediterranean pizzas." "Merlot is by nature softer than Cabernet, which is the problem with most low-priced Merlots: they're limp to the point of being flaccid. Our Vintners Blend bucks this trend, adding the structure of French oak to the early-maturing appeal of the varietal. Merlot's opulent fresh-plum persona is here enhanced by notes of tobacco, leather, and vanilla, providing a multidimensional mouthful that doesn't pander to undiscriminating palates. Cool vintages show more green-olive character; ripe ones contain more blackberries. Round and full with a spicy finish, Vintners Blend Merlot is delicious upon release, though if you misplaced a few bottles in your cellar, you wouldn't be sorry five years from now. " "Winemaker Notes: The goal with all of our Trinchero Family wines is to offer the purest expression of the grape variety; fruit-driven and delicious. The 2004 Trinchero Family Merlot is dark, rich, lush and remarkably smooth. It delivers ripe juicy red cherry and jammy currant accented with black tea and roasted jalapeno. The ripe fruit and spice carry through to a velvet-textured finish. Chef Notes: Juicy ripe fruit, flavor-enhancing acidity and medium-plus body make our Trinchero Family Merlot a staple for many of our winery dishes. Our chef pairs this versatile wine with Rosemary Roasted Lamb Chops with Caramelized Cippollini Onions and Mashed Vanilla Sweet Potatoes." 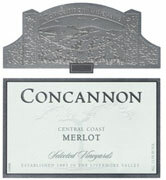 "This Merlot is dark garnet in color and has aromas of fresh basil, blueberries, and Bing cherries. With good richness without being too heavy on the palate, the flavors of fresh cherry pie, sweet plum, and soft cinnamon spiked cranberry dressing finishing with notes of rich, vanilla French oak and delicate cherry and strawberry flavors. This wine is packed with flavor yet still has a delicate body. This is a versatile wine that can be served with bruschetta over toasted French bread or cherry preserves over Brie served with water crackers as an appetizer. You could serve this wine with salmon over wild rice with toasted almonds, grilled chicken on top of a spinach salad with walnuts and dried cranberries, or thyme roasted pork chops over mashers. ."
"The 2005 Blackstone Merlot perfectly demonstrates the "Blackstone style" - rich fruit aromas, elegance, supple oak characters and soft tannins. With lifted dark cherry and berry aromas and a touch of spicy clove, this wine is sure to be a crowd-pleaser. The texture is ripe and soft in the mouth, with bright cherry fruit flavors and a soft, lingering finish. Blackstone Merlot will pair nicely with rack of lamb, grilled burgers and tomato-based pasta dishes."